Kathryn and Claire invite you to take time out from the pressures of life and reconnect with yourself in a quiet, peaceful location. With wide views over the countryside, this is a lovely place to gather and practice together. 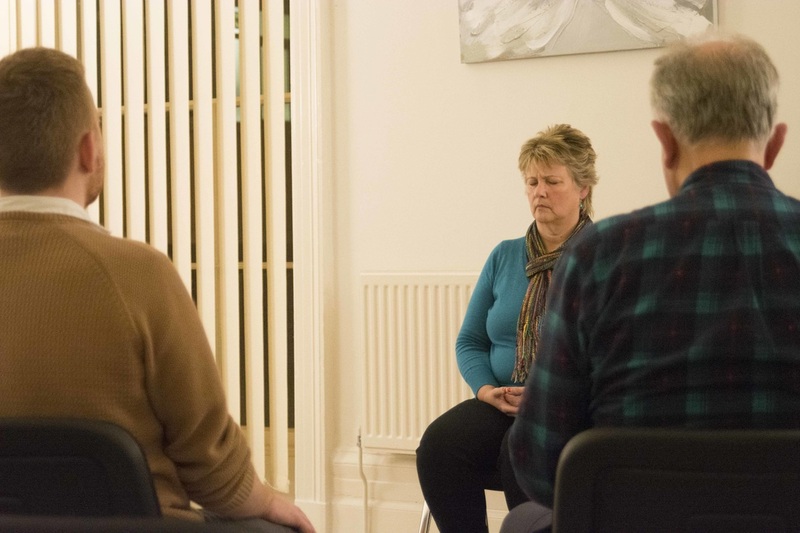 Our mini retreat offers guided meditation and practical teachings on how to apply meditation in everyday life and are run once a month on a Sunday morning. We include walking meditations outside, and there will be time for questions and personal reflections at the end. Chairs are provided, but please bring any cushions, mats, blankets etc that you like to have for your comfort. ​If you would prefer to pay by Cheque, then please make it out to Kathryn Buxton and post it, or drop it in to, The Isbourne Holistic Centre, Isbourne House, 3 Wolseley Terrace, Cheltenham GL50 1TH. Please include your email address and state which Sunday you are booking for. Or you can pay by BACS. Please contact me via the contact form and I will send you details. 'I had been looking forward to the meditation morning for a long while and it exceeded my expectations. The time passed so quickly, and the "breathing" and "walking" meditations were perfect in giving us a feeling of calm and well-being from the start. The beautiful surroundings and wonderful cloud-scapes today added to the sense of relaxation and focus. Cost: £48 for six sessions* or £10 drop in. ​ *Terms and conditions: fees to be paid in full on first session. If you anticipate missing one or more sessions, a drop in fee of £10 per session applies which can be paid on the weeks you attend. No refunds unless the class is cancelled. ​For complete beginners and those with a some experience, these classes will help guide you through the joy of a regular meditation practice and any challenges you may face. All meditations are guided and you can sit on chairs or the floor if you wish. Cushions are provided. The meditations run concurrently with noble silence in between and there is an opportunity to share thoughts and ask questions at the end if you wish. A wonderful opportunity to enjoy the energy of sitting with like-minded people. It's Mental Health week from 13th May and as part of the Isbourne's commitment to raising awareness of mental health issues they are inviting people to bring a friend for free to some classes. If you know a friend who would benefit from meditation - bring them along on the 15th May. No need to pre book. Show a mate you care! I offer one to one sessions and this can be at your home if you wish. If you have a group of like minded and curious friends I can also come to your home and run a one off meditation workshop.